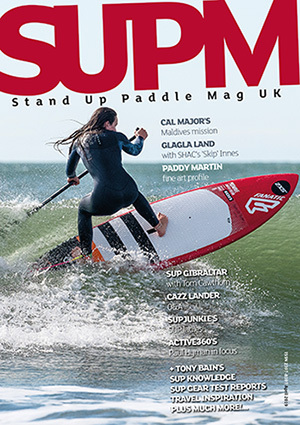 It’s been just over a year since SUPM put out the shout for SUP kit testers to come onboard. Stephane Lefevre, French transplant and all round water enthusiast, is one third of the team. Having seen the 12 month anniversary come and go and interesting exercise would be to question Steph and see how it’s been for him over the last 12 months. Stay tuned for part two with Richard Heathcote coming soon. Remind readers of your backgrounds as far as watersports go. Both my grandparents were living by the sea, either southwest coast of France near Hossegor or in the north of Mallorca. So not surprisingly my attraction to the sea started at a young age. Started surfing around eight then discovered windsurfing at nine which took over my life ever and I’ve never quite managed to stop the addiction since – and I don’t think I ever will. Around late 2007/8 SUP appeared and straightaway I wanted to have a go. In truth I was probably scoring three to four days a week on the water and I was looking for a way to keep that average going, especially on the non-windy days. It rapidly became an addiction too. The first rider I met on the water was Tez, editor of SUPM (always the early adopter). I think we were the first few to enjoy surfing our local on a SUP. Most people were laughing at us but nowadays they are all out there when the swell picks up, which is great to see. 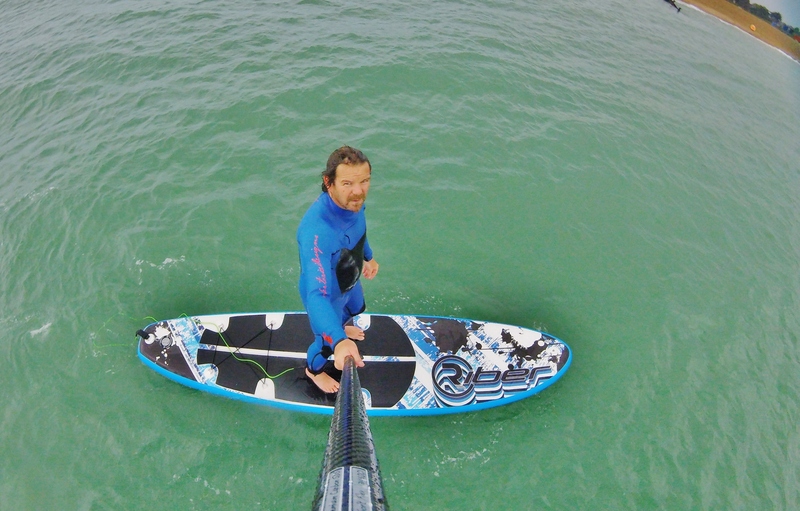 How’s it been for you – testing stand up paddle boarding kit that is? Fun, sometimes a little frustrating, but mainly it has been a great experience. One thing I came to realise quickly is I’ll always be on the wrong gear for the conditions on the day, but that is what makes it interesting. It has improved my wave riding. Believe me trying to surf a 12’6 iSUP with a solid swell on a windy day, holding the camera up in the air to get that one shot for the mag, is challenging. But you learn a lot from it! And finding that one shot lost in the 6000 pics you downloaded to your laptop is a chore. Playing with different boards can take you out of your comfort zone; this is what make you move forward. Anything strike you with regard to equipment in general? They are so many brands nowadays it’s getting even more difficult to choose – almost too much choice! Hopefully what we are doing here helps a little. New stuff is coming out all the time, like foil SUP right now for example! 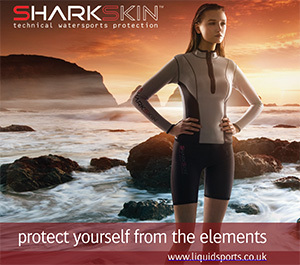 It is an interesting time for watersports in general and especially SUPping. I’m certainly pleased that all the board manufacturers have made iSUPs easier and faster to inflate. Pumping three boards in a row for a test session is a killer! What about your fave bits of equipment – any stand out from the crowd for you? I bought two boards off the back of reviewing as a set to work in different conditions, and I love them – one board wasn’t quite enough for me! But there were plenty others I could happily own. I don’t think there are really bad boards (apart from the real cheap inflatables you can get), just different ones for different styles and conditions. The trick is being honest with yourself about where you ride most, how you paddle and your skill level balanced with aspirations. And have you learned anything from testing kit – personally or otherwise? On a personal point, testing and trying to surf everything I was given to test has improved my wave reading and riding. It’s helped with finding where to position myself on a top and bottom turn. Now I’m starting to look more and more at board shapes and what effect they are having, but without taking it too seriously. I wouldn’t mind trying to shape few boards for myself at some point, when I have some spare time! From your experiences what would you like to see more/less of with SUP gear? Fewer colour/graphical changes every year for the sake of it. And less tiny SUP surf boards. Unless you are very light, a kid or/and a pro and live by a perfect surf spot, I don’t think they are representative for everyday SUP riders. Inflatables are getting better but have their limits so developments on hard tail systems or hard and thinner rails is one to watch I think. Better fins on some models, and finally cross activity SUP, especially with foil, foil SUP, windSUP and wind foil SUP surfing. One board, four ways to have fun = more time on the water! Crystal ball gazing, make a prediction (anything you like) re SUP gear in the future. Foils getting cheaper and easier to ride. iSUPs to get even more performance orientated. I can see hard tail inflatable inflatables being an option (they already are – ed). But more importantly (hopefully) a more eco-friendly way of manufacturing boards. What do you think test write ups provide for the reader/consumer? I hope they give an insight, a guide for people to find what they want. I’d like to believe that we are as honest as we can be with our test results. Plus our view on boards/paddles are far from pro rider opinions so I hope people can feel they are getting a more ‘real world’ approach to the test. Let’s face it pro riders would be able to look good on anything. What’s your opinion on equipment testing in general across all publications? I think they all are complimentary. I don’t believe in only one point of view. I think searching across other tests is not a bad idea. Every piece of equipment will have faced different weather/sea conditions and had different paddlers use it. But watch out as occasionally write ups can be brand and advertising influenced. Do you think SUPM is doing things right – what would you change? 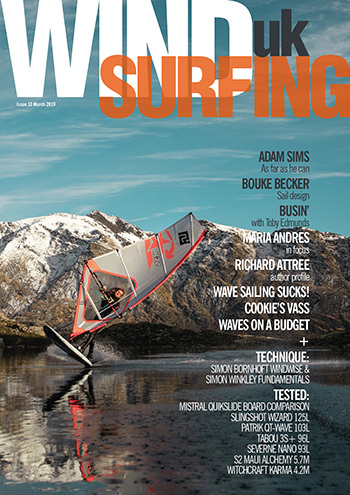 I think it’s an honest magazine for everyday SUPers of different styles made by passionate people wanting others to get on the water (or dream of getting on it more often). I’d like to see more guides to local spots. I know in surfing it can be a taboo subject but information from riders about their patch, whether it is flat water, surf or rivers. Traveling and trying new places is a great way to improve your riding, as well as meet other people who paddle. I’d love to see more about local shapers too – would be great to have some of their boards for test? Any other ideas of how to make SUPM’s gear reviews better? Would be nice to have some of the boards for a little longer, especially the surfing ones. Move to somewhere warmer with lots of perfect overhead glassy days…OK I’ll stop dreaming now! Final comments shout and praise? Thanks SUPM for letting me playing with all the toys most people dream of buying. Stay safe, have fun on the water whatever you do and see you out there.